Check out Tobi's Velvet Snow Bodycon Dress Ready for the perfect holiday dress? 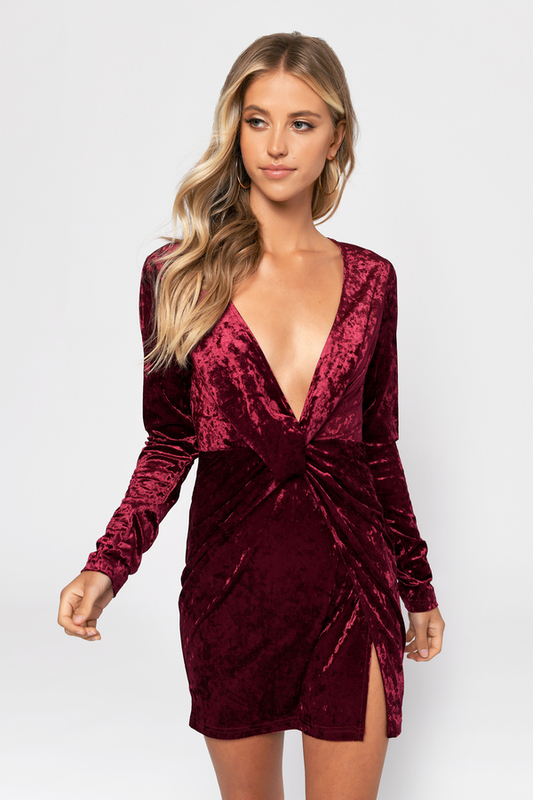 The Wine Velvet Snow Bodycon Dress features a soft velvet with a plunging v-neckline that leads into a gorgeous front twist, fitted waist, and a thigh high slit! Bring on all the winter festivities and holiday celebrations! Ready for the perfect holiday dress? 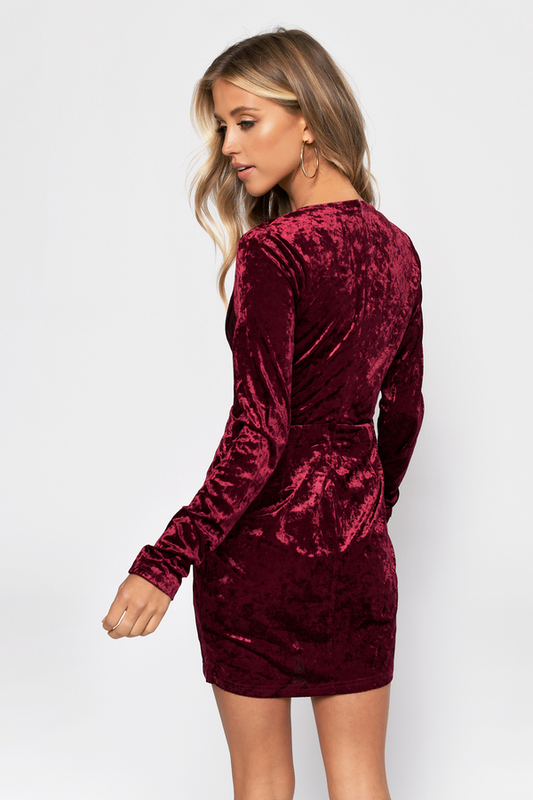 The Wine Velvet Snow Bodycon Dress features a soft velvet with a plunging v-neckline that leads into a gorgeous front twist, fitted waist, and a thigh high slit! Bring on all the winter festivities and holiday celebrations! Ready for the perfect holiday dress? The Teal Velvet Snow Bodycon Dress features a soft velvet with a plunging v-neckline that leads into a gorgeous front twist, fitted waist, and a thigh high slit! Bring on all the winter festivities and holiday celebrations! Ready for the perfect holiday dress? 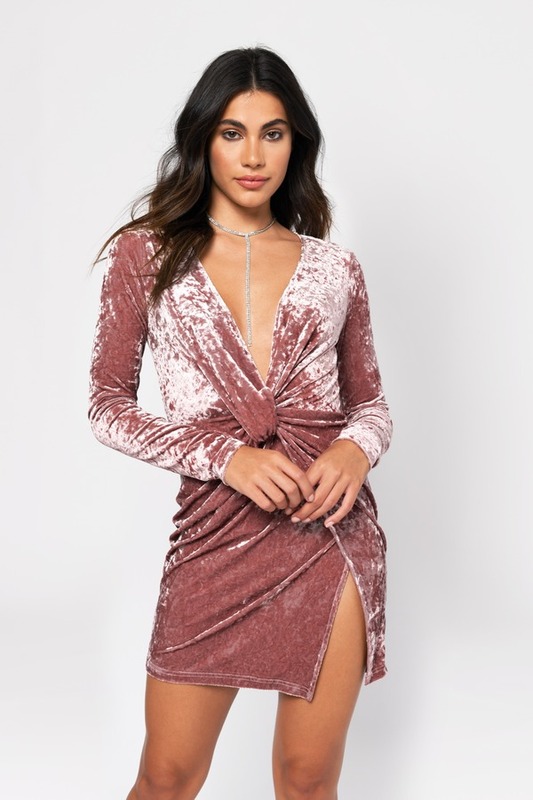 The Blush Velvet Snow Bodycon Dress features a soft velvet with a plunging v-neckline that leads into a gorgeous front twist, fitted waist, and a thigh high slit! Bring on all the winter festivities and holiday celebrations! Blush, Wine modeled on a size Small.